Established in 2008, Eye Language Extensions is taking the beauty industry by storm as the fastest growing eyelash extension company to hit Chicago. We offer not only lash extensions but a lashing experience that includes relaxation coupled with excellent customer service from our talented lash technicians. Whether you try a natural set or mascara set your going to absolutely love the convenience of never having to apply mascara again. The founder, Alisha, has been in the beauty industry since 2002, doing makeup and beginning with strip lashes (lashes that only last one day). 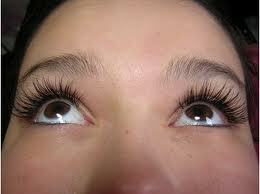 She began her career as a master lash technician in 2008. Alisha is now servicing the Chicago and surrounding areas. She brings an experts eye of what beauty should look like coupled with your desired look and voila!